OR junior guard Sabrina Ionescu, who led the Ducks to their first appearance in the Women's Final Four, is staying at the school for her senior season. The game remained close in the second half, with Cox snagging her ninth rebound after a missed Baylor jumper. Soon after, center Kalani Brown added another free throw to secure a 72-67 victory for the Baylor. OR was going to rely on the 3-point shot. "We made the Final Four", she wrote. Chavez was dressed down for Friday's game, despite not practicing with the team since they arrived in Florida on Tuesday. The Ducks fans, some of whom traveled more than 3,100 miles, showered their team with applause as they sprinted to the locker room. 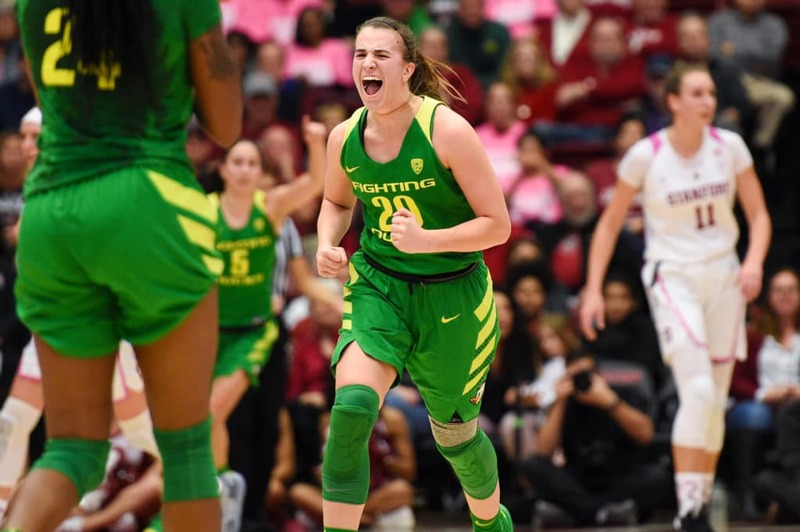 Sabrina Ionescu, the electric junior who holds the NCAA record for triple-doubles, led OR with 18 points in perhaps her last game for the Ducks, should she choose to leave early for the WNBA draft. I'm really proud of them. Finals veterans UConn and Notre Dame also face off later tonight for the other spot in Sunday's championship game. "Our practices prepare us for these moments", Mulkey said after Baylor's closest game since a 74-68 victory at Texas on February 4. "No magical words", Mulkey said. "If we can get here again, or sometime soon, now we'll have a little bit of experience and that always helps". Oregon, facing the pressure of the Bears and of the moment, tightened up and missed its final five shot attempts. "It's obviously a different perspective because I'm not watching the game really to figure out what I'm going to do when I go in", Chavez said. Oregon's high-scoring, 3-point shooting offense eliminated nearly all of Baylor's runs that started with Brown and Cox. "I think this is just going to make us more hungry to get back to this stage", Ionescu said. In a post on the Player Tribune titled, "A Letter to Ducks Nation", Ionescu wrote Saturday, "I came to the University of OR as a freshman in 2016-2017". The 5-foot-11 guard from Walnut Creek, California, was the only player in the country averaging at least 15 points, seven rebounds and seven assists. The Bears held opponents to an NCAA-low 31.3 percent field goal percentage in the regular season. Boley drained a 3-pointer to give OR a 55-52 lead with 1:10 remaining in the third quarter before Brown answered with a jumper on the next possession.